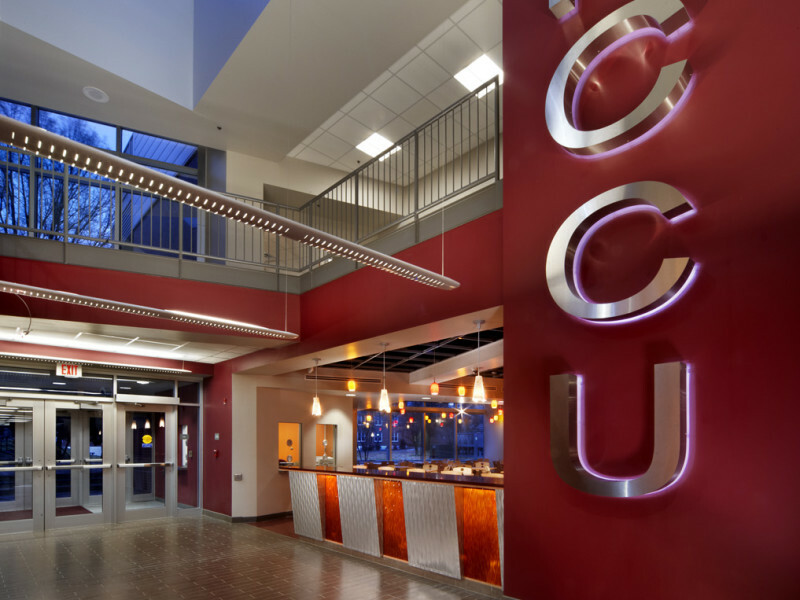 With an expanding enrollment, renovationand expansion of the Pearson Cafeteria at North Carolina Central University was long over due. 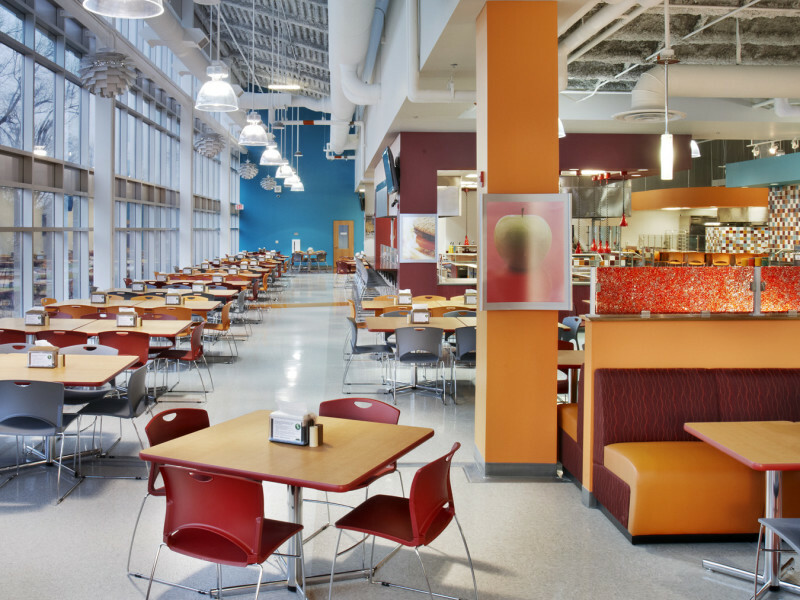 In addition to doubling the facility’s size, the project provided a new image for student dining, a campus gateway, a community hub and a larger variety of healthier food choices for students, staff, faculty and visitors. 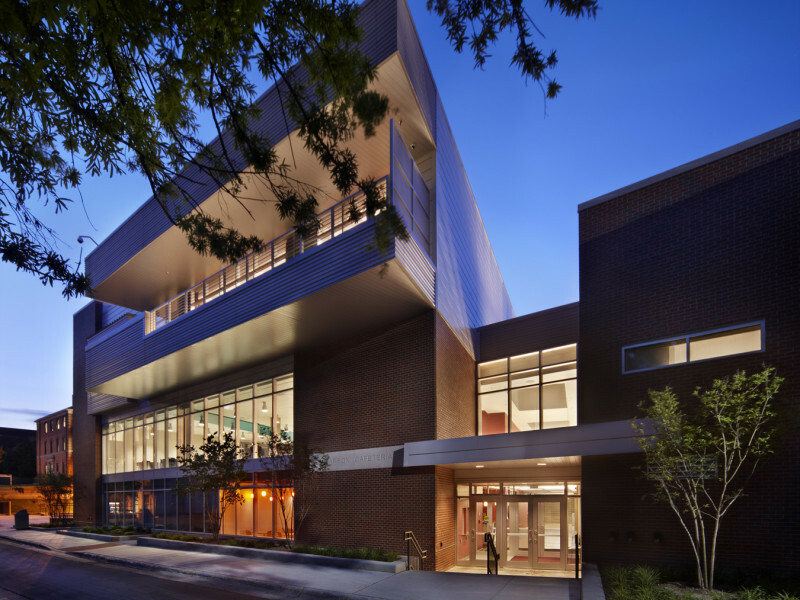 “Pearson Street,” a new wide passage that cuts through the building, links the north campus with the academic quad. The open plan of the dining room is complemented by northern daylight from the full height glass walls, enhancing the dining experience while creating an ambience that attracts and retains. 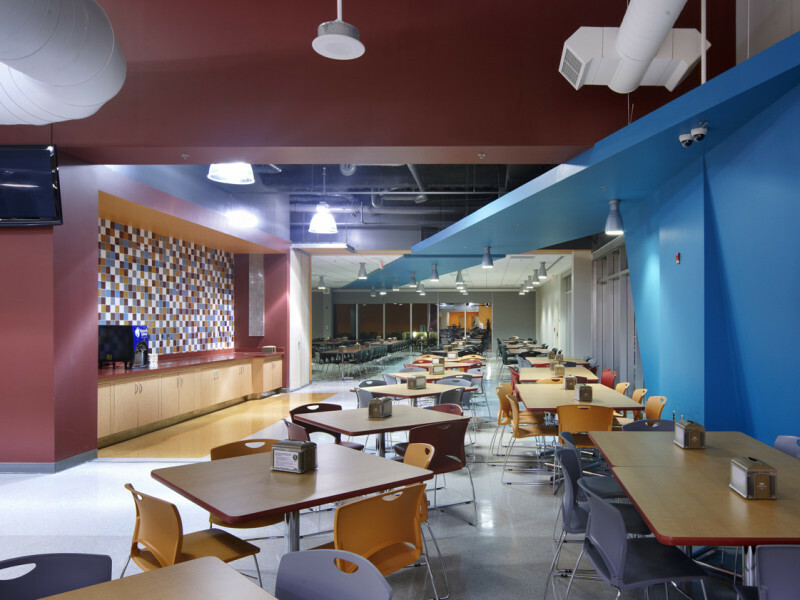 A variety of dining spaces are provided, from the flexible, 1,200-seat open dining with Marché style servery to the cybercafé, banquet room and chancellor’s and faculty’s dining areas. 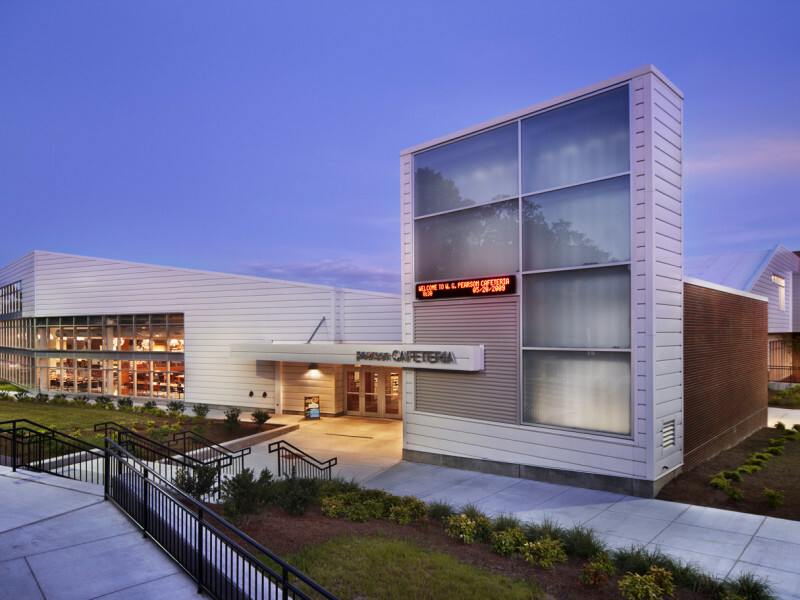 Expansive exterior glass walls invite people into the cafeteria with generous views of the activity within. 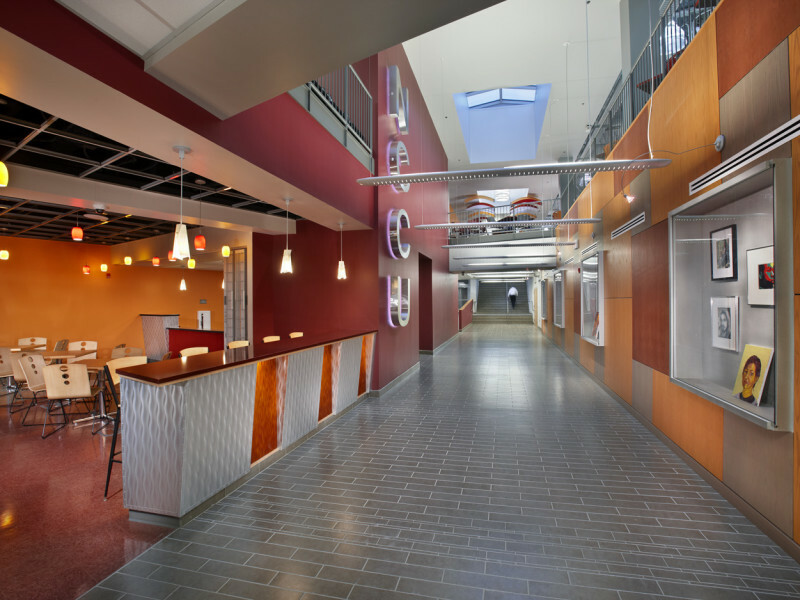 At night, the lighted glass walls become a welcoming beacon of these spaces. 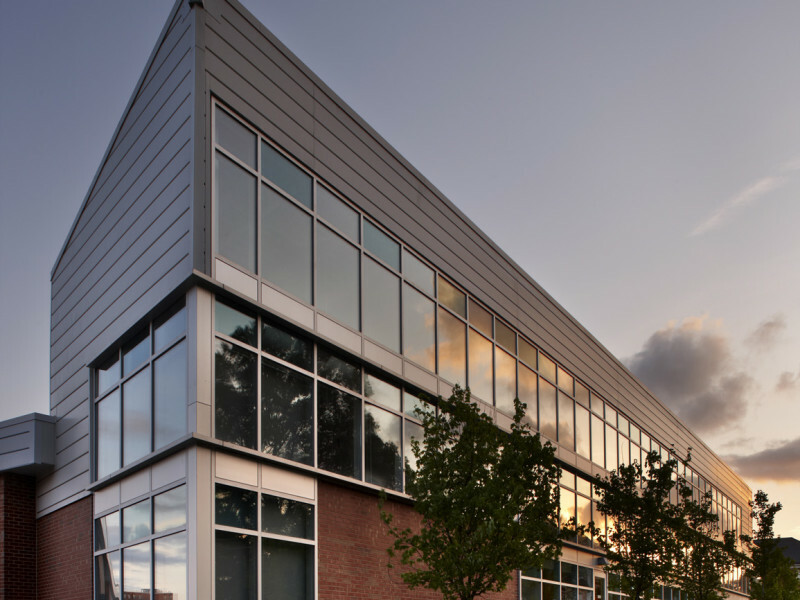 Indoor/outdoor spaces such as balconies and patios encourage interaction during nice weather while, conversely, Pearson Street and the cybercafé provide shelter in the event of bad weather.